With innovative parking guidance systems, SWARCO is helping to save time and nerves when looking for a parking space - now also in Bedford, England. Modern dynamic signage and real-time information ensure highly relaxed parking. The capital of the English county of Bedfordshire faced the following challenge: Due to a new bypass, the traffic flow and routes in the city centre of Bedford had changed dramatically. As road users could no longer take their usual routes, there was chaos and general confusion. New signage and a new parking guidance system were needed for drivers who wanted to park in the city. With this order the Bedford Borough Council turned to SWARCO, a leader in the provision of traffic information. The main focus of the innovative solution from SWARCO is on 6 dynamic signage systems, which alternately display the current load on the car parks, the specific directions to the car parks and any other information required. This flexible parking management is made possible by SWARCO's newly developed web-based Zephyr guidance system. In plain language: Zephyr records all relevant data and can be programmed to automatically change the content of the signs. In addition, even the graphics of the displays can be individually determined. A new counting system has been installed at key stations to ensure that the number of free parking spaces still available is always as accurate as possible. Clear directions to the nearest car park and information about available parking spaces on the street and in multi-storey car parks are key factors in shortening the annoying search for a parking space and, as a result, reducing traffic and emissions. Not to forget: Finding a free parking space quickly means less stress for the driver! SWARCO was able to complete the new parking guidance system for Bedford's most important car parks on time for the pre-Christmas season - and thus for stress-free Christmas shopping. The 800,000 Euro project also included 12 new flood warning signs installed by SWARCO. 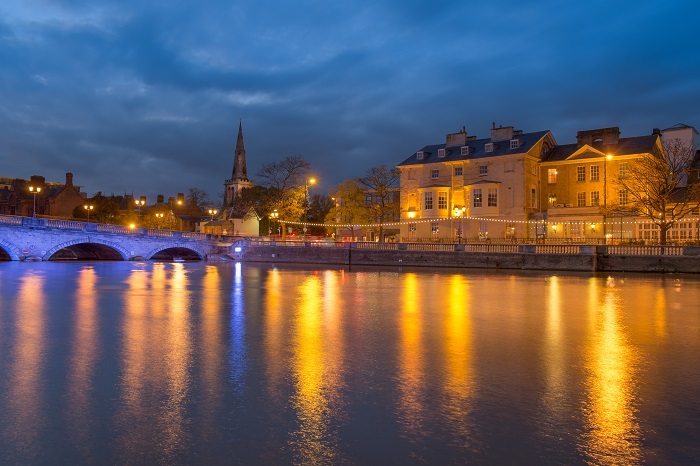 "Bedford Council’s IT Department required compliance to the latest standards for cyber security for the hosted system. By designing in security features to the Zephyr user interface and using a secure datacentre to host the server we were able to demonstrate full compliance."